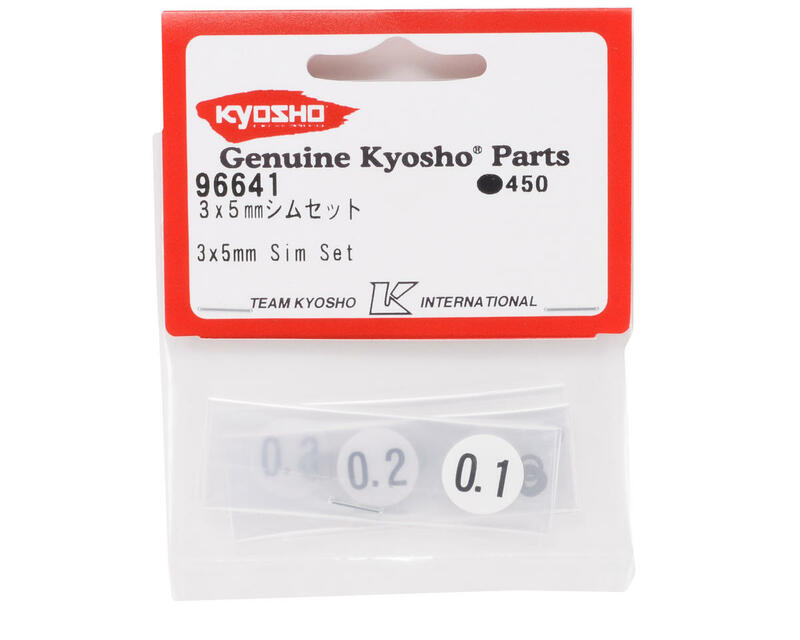 This is a pack of thirty replacement Kyosho 3x5mm Clutch Shims, and are intended for use with the Kyosho Inferno family of 1/8 scale nitro vehicles, as well as the Ultima and Lazer family of 1/10 scale vehicles. 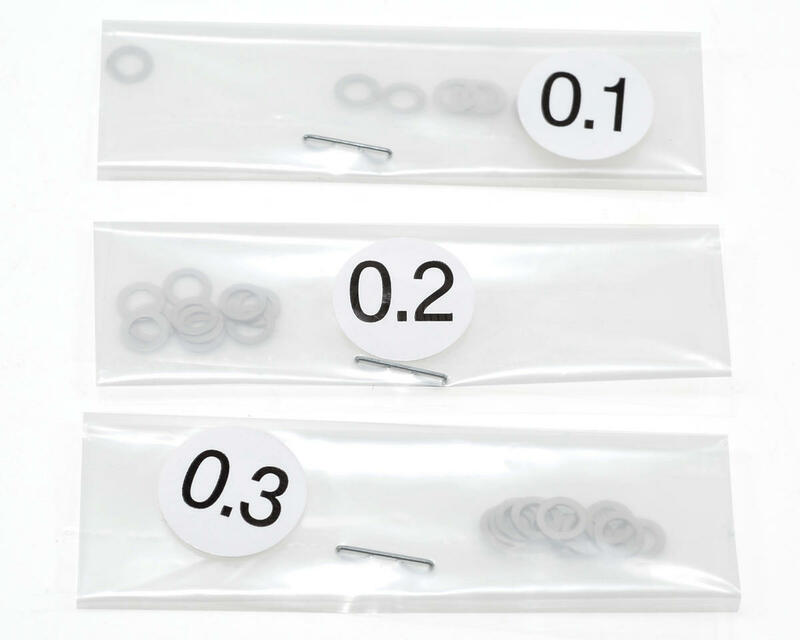 These shims are used to shim the clutch shoes on a Kyosho 3-shoe clutch, but can be used on any clutch that uses 3mm flywheel pins. They are installed on the flywheel pins before the clutch shoes are installed, and are used to space the clutch shoe off the flywheel. This will help to prevent the shoes from hanging up on the flywheel when the shoes pivot on the flywheel pins. 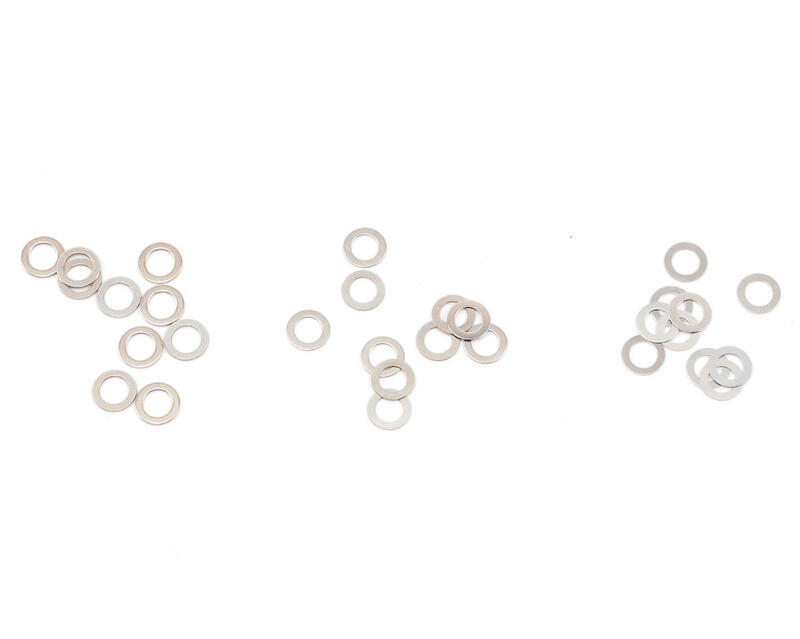 These are also used on the Ultima and Lazer family of vehicles to remove excess play in the suspension arms, and are also used in the servo saver assemblies.